But marketing for our clients requires us to have a firm grasp on the constantly changing landscape of the industry. For that reason, we’ve kept a running list of players in the industry and categorized them. Now we make that list available to you in a spreadsheet of 192 companies (more on that below), and an infographic that helps visualize it all; the first of its kind. If you’d like to skip to the infographic or scroll past it to read about our selection criteria, please go on ahead. But for those who are here for the real substance of the matter, I’d like to go into a bit more about what it’s like doing business in this space. eClinical is an exciting space where the best minds in patient experience, clinical operations, UX, software sales, and agile product development come together. Enabling better eClinical tools often translates to increasing the chances of success that life-impacting products and therapies get to market. That’s compelling. Let’s restate this: eClinical businesses have the challenges of both software companies and life science companies, in an increasingly crowded marketplace. This point about crowding is important and will fundamentally impact the way eClinical companies conduct marketing over the coming years. Those who understand their competitors, what their customers want, and what the market lacks, will develop products that take existing categories by storm. New categories will be created. Small players who are better at user acquisition and retention will disrupt big players, while further mergers and acquisitions will shift the landscape altogether. As an example, since we started making this infographic two months ago, two brands on the list were acquired, and another closed shop (and is no longer on the list). If you’re interested in discussing eClinical marketing, we want to hear from you. Please use this link to book time on my calendar, and let’s see if we can use what Bracken knows to help you capture more market share. This infographic features 192 of the most prominent brands in the industry. Yet this list of 192 companies just scratches the surface. If we weren’t careful, this could have quickly developed into an infographic of over 400 companies, so we put together some criteria about who makes the list and how to categorize them (as an example, we’ve left out CROs even if they have a technology offering because there are hundreds of these types of businesses). You can read more about the criteria and categories by scrolling to the bottom of this page. The eClinical landscape is in constant flux, and changes daily. If you feel we’ve miscategorized your business or perhaps didn’t include you, please let us know by emailing us at info@brackenmarketing.com. As the above implies, we are providing a spreadsheet containing information on all 192 of the brands shown in the infographic. The list is free. To access the spreadsheet simply submit your email address here. Bracken Marketing is an agency dedicated to understanding how eClinical companies work. Many of our happy clients are featured in this infographic and use us to better market and grow their business. We also work with teams who sell into the eClinical industry by developing and executing marketing plans for the space. 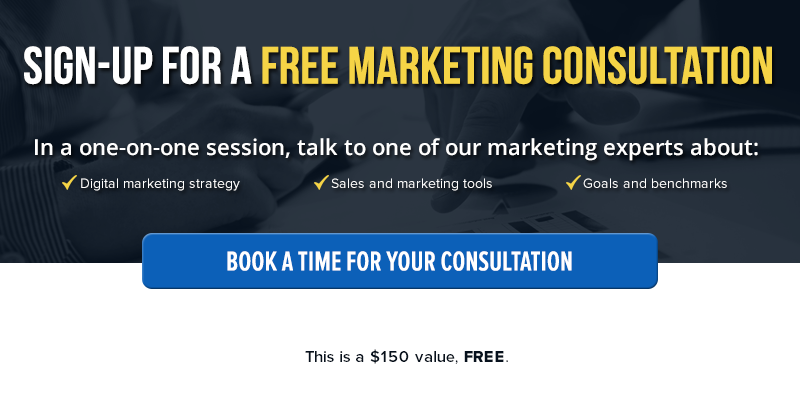 If you would like to discuss eClinical marketing, book a time directly on my calendar by using this link. Without further ado, here’s the infographic. You can also click here to download it. We hope this gives you a better grasp of the eClinical landscape. Our goal for this infographic and accompanying spreadsheet is to compile as comprehensive a list of eClinical companies as possible. However, the definition of “eClinical” company can be quite broad, and it quickly opens the itself to the inclusion of hundreds of companies. We needed to define our focus. Our starting definition of eClinical is: a software company focusing on clinical trial applications. One company type we’ve excluded from the list are companies that service multiple industries, and do not focus solely on life science. For example, there are several file storage solutions out there that assist with clinical trials. But if those companies sell the same solutions to financial services, higher education, government, etc. they do not appear in our list. This provides a more focused infographic. mHealth (mobile technology designed for the healthcare space that has large overlap with clinical trial applications) is not included in this infographic. mHealth is another sub-industry we work with and have great appreciation for. For that reason, we will be producing a separate mHealth infographic soon. At the heart of the definition of “eClinical” is software. An eClinical business is one which develops technology for clinical trial applications. These days, most clinical trial services companies fit this definition in some way. However, we wanted to highlight the companies that identifying most as a technology solutions provider, not a services provider. Obviously, this is a fine line. Most CROs, translational services companies, medical writing service companies, and the like do not appear on this list. This doesn’t lessen the importance of the technology they develop. This is to better differentiate the pharma services industry from the eClinical industry. What’s interesting about this criterion is understanding how some companies have made it into the list. IQVIA, as an example, is a services company that is typically thought of as a CRO. However, they have made such a strong push of their clinical trial technology in the last few years, that they have earned their identity as an eClinical business. Companies in this category have expanded their service offering across enough different clinical trial applications that it’s difficult to bucket them into a single category. We have placed companies that have 2 or 3 applications into a single category. The Multi-Category is for brands who have the broadest product offerings in the industry. These are tools that enable better trial management. CTMS (clinical trial management systems) is a term most are familiar within the industry. However, these days companies have created products that do much more than a traditional CTMS, or loosely fit the term CTMS, yet fit into our category of aiding sponsors, CROs, or site staff manage a trial. Also, trial management tools usually have features that fit into other categories in our list such as compliance or recruitment. This category calls out brands that focus on an all-in-one trial management solution or assist mainly with operations and project management. These are tools that enable data capture. The four terms used in this category title might have been in their own category a few years ago, but these days it’s difficult to define which is which. Most vendors that provide EDC solutions as an example, have built-in ePRO features. EMR and EHR stand for Electronic Medical Records and Electronic Health Records, respectively. The EMR landscape could be an infographic in itself. There is a vast number of companies providing these solutions. Most of these companies focus more on the healthcare ecosystem than the biopharma ecosystem. We’ve included EMR/EHR vendors who focus on clinical trial applications. This category broadly defines vendors who sell industry-specific IT solutions or compliance tools. It’s difficult to separate companies who provide data tools with compliance features from compliance tools with data management features, so we needed to combine them into a single category. eTMF (electronic trial master file) and data quality or data security tools also fit into this category. This category is self-explanatory. It’s most closely related to the Compliance/IT category so there may be some overlap with software features and vice versa. These brands provide analytics or software based on their ability to leverage databases of clinical trial data. It’s worth mentioning our sister company, BrackenData, is included here. BrackenData uses a database of clinical trial records to help teams inform and improve their business development, M&A analysis, protocol writing, and feasibility planning processes. While there are often patient experience features within a trial management system or monitoring tool, this category highlights brands that solely focus on enabling the patient engagement and experience aspects of clinical trials. This category is mostly comprised of platforms that help patients find trials, and therefore help clinical trial sponsors find patients. By using these tools to understand the size and location of patient populations, they also have features that help with feasibility planning. There are a few companies with a product or set of features specific to a cause that doesn’t quite fit into one of the above categories. For that reason, we call them out in their own category at the end of the infographic. We built this infographic because of our passion for marketing in the eClinical space. If you would like to learn how we can support revenue growth goals of your eClinical business, please book a time on my personal calendar to discuss.